Get ready for a full day of sightseeing on the 2nd (Sat): get in on the family fun at Xel-Ha. To find ratings, traveler tips, photos, and tourist information, read Tulum trip itinerary builder. Seattle, USA to Tulum is an approximately 14.5-hour flight. You'll lose 3 hours traveling from Seattle to Tulum due to the time zone difference. Traveling from Seattle in December, expect Tulum to be much warmer, temps between 78°F and 66°F. Wrap up your sightseeing on the 4th (Mon) to allow time to drive to Cancun. 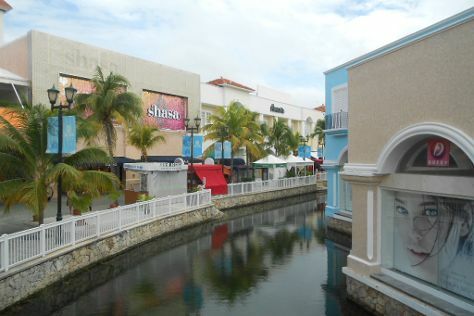 Kick off your visit on the 4th (Mon): browse the different shops at La Isla Shopping Village, fulfill a lifelong dream with a swim-with-the-dolphins experience, and then stop by Plaza Las Americas. To find ratings, more things to do, reviews, and tourist information, go to the Cancun itinerary planner. Traveling by car from Tulum to Cancun takes 2 hours. Alternatively, you can take a bus; or take a shuttle. In December, plan for daily highs up to 81°F, and evening lows to 69°F. Wrap up your sightseeing on the 5th (Tue) to allow time to travel to Mexico City. Kick off your visit on the 5th (Tue): explore the world behind art at Palacio de Bellas Artes, examine the collection at National Museum of Anthropology (Museo Nacional de Antropologia), and then appreciate the history behind Monumento a los Heroes de la Independencia. Get ready for a full day of sightseeing on the next day: delve into the distant past at Metropolitan Cathedral (Catedral Metropolitana), delve into the distant past at Templo Mayor Museum, then ponder the world of politics at National Palace (Palacio Nacional), and finally make a trip to Zocalo. To find ratings, photos, reviews, and tourist information, use the Mexico City trip builder. Traveling by flight from Cancun to Mexico City takes 4.5 hours. Alternatively, you can do a combination of bus and tram; or drive. You'll gain 1 hour traveling from Cancun to Mexico City due to the time zone difference. When traveling from Cancun in December, plan for little chillier days and cooler nights in Mexico City: temperatures range from 72°F by day to 47°F at night. On the 7th (Thu), wrap the sightseeing up by early afternoon so you can travel back home.